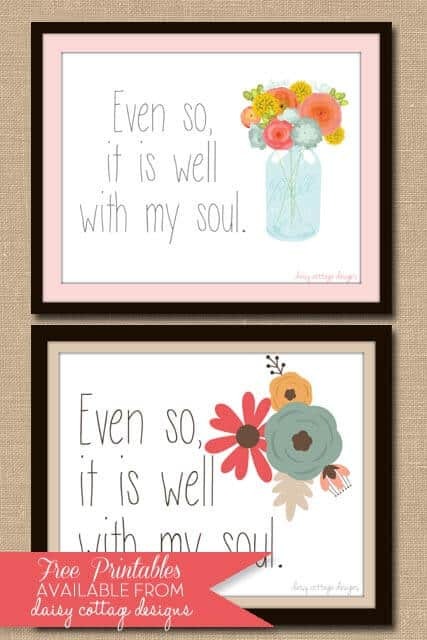 “It is Well” is one of my favorite hymns. I know that sometimes life seems to be falling apart around us. Kids seem to be acting up more; the dishes never seem to get cleaned; and, for some, the measly issues that I deal with on a regular basis can’t begin to compare to what they’ve been going through. Regardless, it can all be ok. It can all be okay because, no matter what, if you’re a child of God, He will never leave you or forsake you. The Lord is ready to hear our prayers (even if the answer isn’t always what we want, this should still be comforting). Now, so many people think that we’re automatically “children of God.” While salvation is beautifully simple and available to all, not everyone is a child of the King. If you’d like to know more about how you can be sure that you are, you can read more about it here. 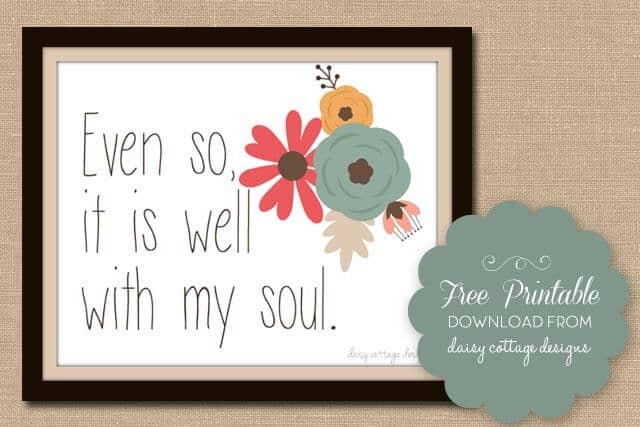 If you’re a born again Christian, regardless of what’s going on in your life, it can be well with your soul. You can find comfort in the fact that your eternity is settled in heaven. You can be comforted by the fact that the Holy Ghost dwells inside you. You can be comforted by reading God’s holy word – the Bible! My favorite line of this old hymn is below. Lord help me find comfort in these words even if my life seems to be falling apart. My sin, oh, the bliss of this glorious thought! My sin, not in part but the whole, Is nailed to the cross, and I bear it no more, Praise the Lord, praise the Lord, O my soul!